Joy has been Riley's lead emotion since day one. She sees life's challenges as hiccups on the way to something great. 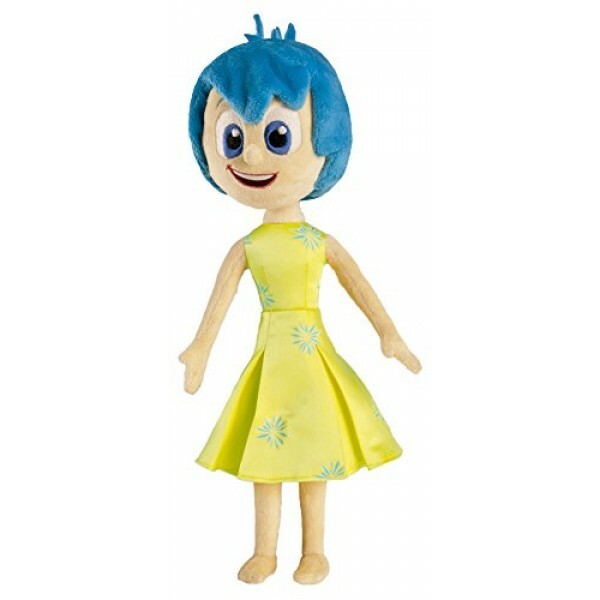 This talking Plush Joy stands at 14" tall and has fabric clothes. Squeeze her hand and she'll say one of five phrases as heard in the movie, including "Another perfect day!" and "Be positive!" For more pretend play versions of popular characters, visit our Dolls / Action Figures Collection.